Looking for love (or just a hookup) but sick of swiping? Tinder has a new feature that might be able to help. 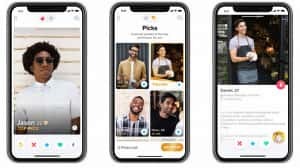 The dating app just introduced Picks, a premium feature “designed to highlight your most swipe-worthy potential matches and what makes them stand out — all in a fresh new format,” the company wrote in a Friday blog post. At this point, Tinder is currently testing versions of Picks on iOS in the UK, Germany, Brazil, France, Canada, Turkey, Mexico, Sweden, Russia, and the Netherlands. If you want to tap into any of your Picks’ profiles, swipe on them, or send them a Super Like, you better grab your wallet, because you’ll need to upgrade to Tinder Gold to do that. Your Picks will refresh every 24 hours, but if you’re a Tinder Gold member, you’ll be able to purchase more Picks at any time. First introduced a year ago, Tinder Gold is a premium tier above Tinder Plus that, among other perks, includes a feature that lets you see who likes you before you swipe. Also Read: What Is VoIP and How Do I Get Started? Tinder Plus – which offers unlimited likes, the ability to redo your last swipe, five “Super Likes” per day, one “boost” each month to be among the top profiles in your area for 30 minutes, and the ability to search for matches all over the world – costs $9.99 a month, unless you’re above the age of 30, in which case it’ll set you back $19.99 a month. According to The Verge, those with Tinder Plus subscription can upgrade to Gold for an extra $4.99 per month.